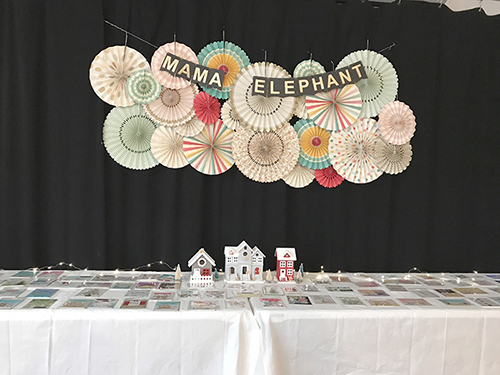 mama elephant | design blog: SALE + PROMOTION ANNOUNCEMENT + PARTY RECAP! SALE + PROMOTION ANNOUNCEMENT + PARTY RECAP! Okay guys, this is it! The release is TONIGHT and I'm super excited to unveil our sale/promo flyer for the release! Please read till the end for the party recap! For 3 days only - take 10% off the entire ME store! No coupon code required! From tonight until the end of the month, 9/30/2017, you can get these awesome freebies with your purchase! 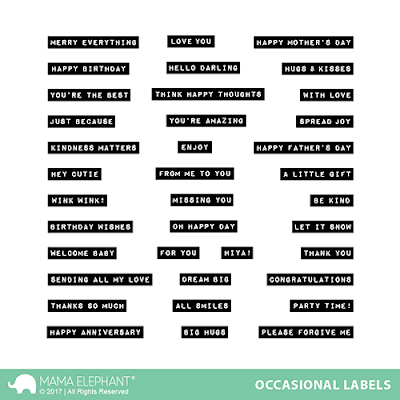 Occasional Labels is an fun, all around sentiment set that covers pretty much every occasion. These are great to a add just a pop of color to your projects when stamped in color. I've been having so much fun creating graphic backgrounds with these! Occasional Labels is free with all purchases over $100*! 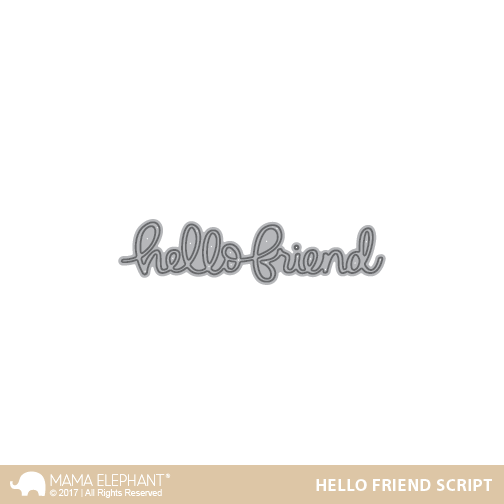 Here's another freebie called Hello Friend Script in my signature handwriting! Hello Friend Script is free with our purchase over $150*! 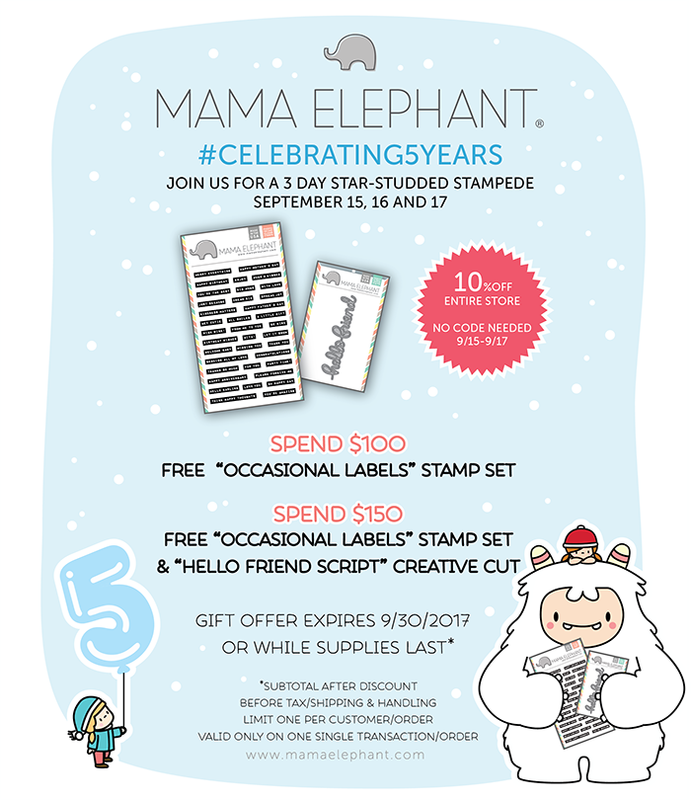 So you get both the Occasional Labels stamp set and the Hello Friend Script free with your purchase over $150*! Couple that with the 10% store wide discount, that's a pretty amazing deal! 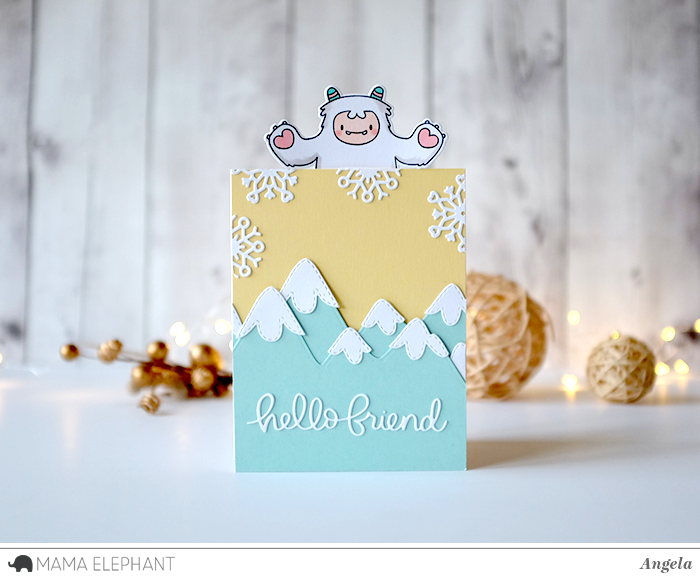 Check out this cute card Angela created with Hello Friend Script, look how beautiful and intricate that lettering is! Lol, Angela obviously had too much fun with the Yeti from Me and My Yeti, also new and being released tonight! Okay! 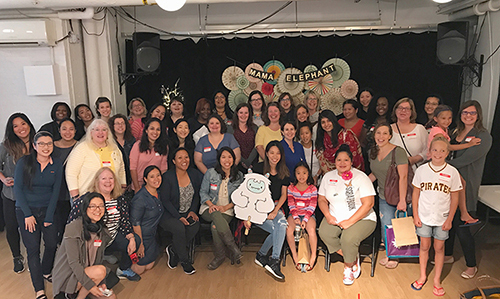 Now on to the Party Recap! 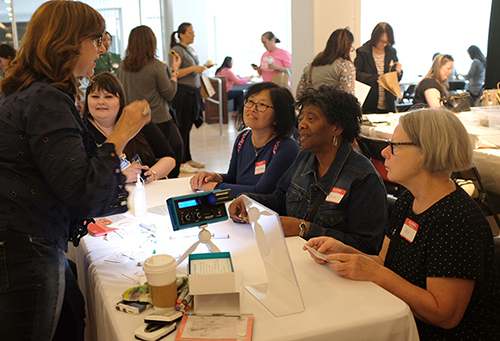 We want to thank everyone who was able to join our 5th Year Anniversary Event in New York City! No matter how much work goes into preparing for an event like this, we are ultimately happy to see you happy to be here with us! You guys are awesome! 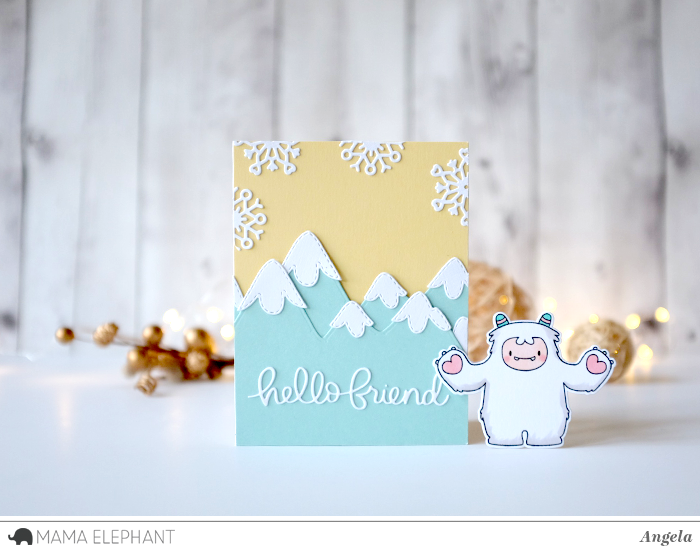 We started the day being photo-bombed by this BIG yeti! 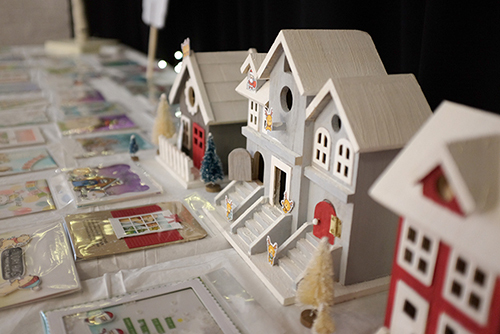 We had some of our Design Team's wonderful cards on display. It's one thing to see them online, but it's another thing to be able to pick up these projects and look at the intricate details! The little reindeer are all over the place! Our amazing friend Tori specially made this incredible fruit platter for our 5th Year Anniversary! 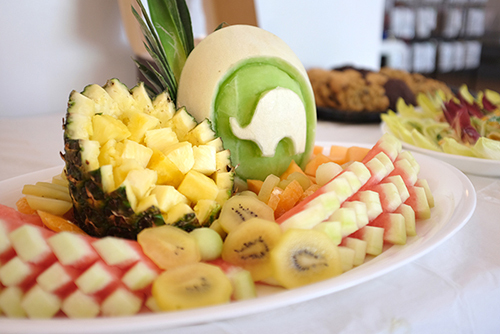 She even carved our logo onto a melon! Holy Moly, this plate of fruit is a piece of art in itself! 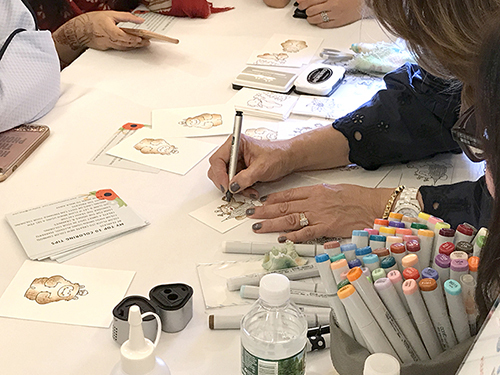 Our event here in NYC was Kathy's 2nd stop in The Coloring Challenge Road Trip! She is so AMAZING!!! If you want to learn more about the Coloring Challenge Road Trip or The Daily Marker 30 Day Color Challenge, go visit her website to learn more! 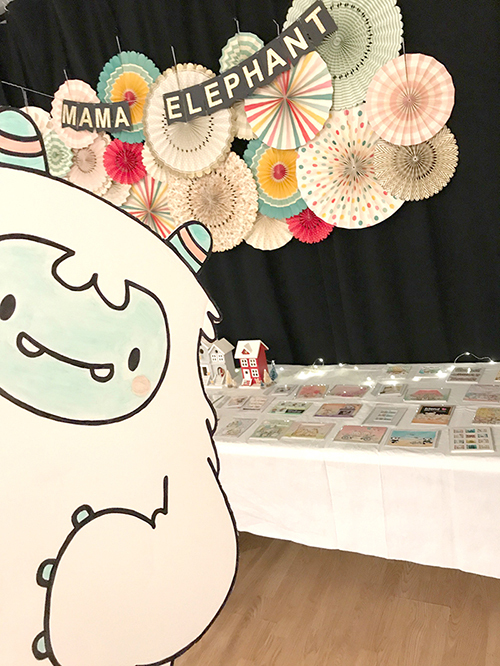 Here is Kathy coloring Mr. Yeti into a Mrs. Yeti! 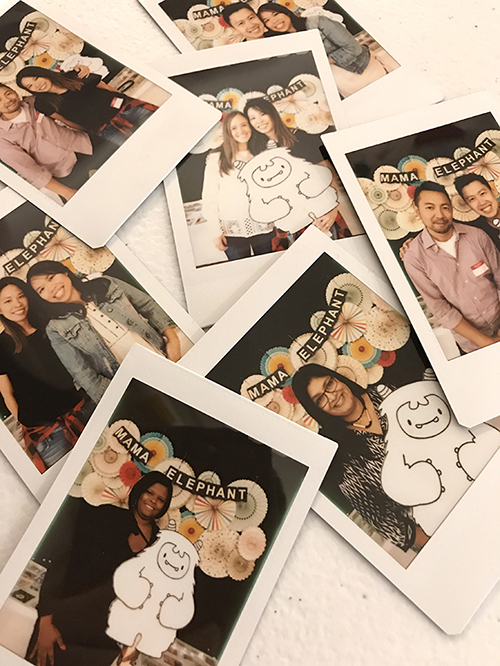 We loved seeing some old friends and meeting new friends! Friends who all love to craft! Picture of the super fun afternoon crowd. Sad we didn't get a shot of the morning crowd. ....Aaaaand a HUGE shout out to these wonderful ladies who made our event extra special and extra memorable! We love you! The celebration CONTINUES online with our 3 Day Anniversary Stampede with tons of GIVEAWAYS and our biggest SALE of the year which starts TONIGHT at 12 MIDNIGHT EST! 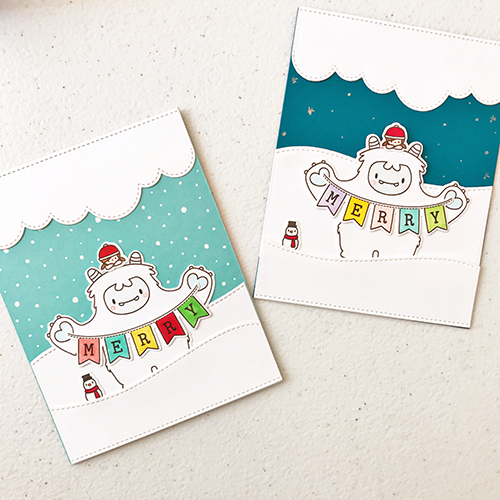 We may have a few 3x4 "YETI IN THE CITY" stamp sets to GIVE AWAY prior to the release, so stay tuned on Facebook and Instagram! So excited I can hardly wait! I love ❤️ Mama Elephant!! I've been counting down the days for this release ! Awwwww!!! Awesome video:) What a fun day. LMAO.. What an amazing video! It was every single bit as fun as it looked. 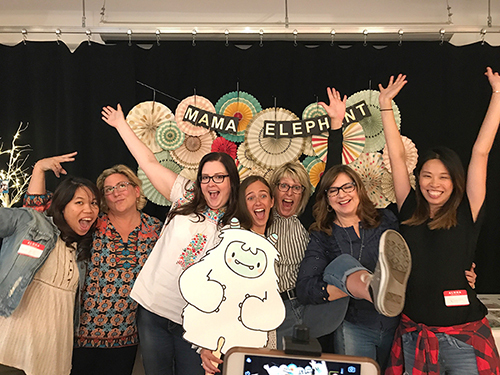 Thanks again to the wonderful ladies (and supporting folks) of Mama Elephant. BEST PARTY EVER - Oh and amazing stamps/dies too! Wow !!! It was such a cool party !! And Angela's card is just amazing !! This yeti has been my favorite thing this release! Love the sweet colors of the cards! So much fun! Everything is so cute and you guys too! Happy 5 years to you ladies!!! I am sad I couldn't make it. It looked amazing!! Congrats on the release... it's fabulous! Wonderful release! Congrats on 5 years! Looks like a great party! Super cool!!! FAB new release & HAPPY BIRTHDAY!! !